Easter is a joyous occasion when we spend time with friends and family. Some people treat this as an opportunity to eat as much candy as possible, so when you’re trying to be healthier, it can be a tempting holiday! Here are a few ideas on how you can be a little healthier this Easter without giving up on having fun entirely. This year, fill your Easter basket with alternatives from Bariatric Health & Wellness! We carry a wide range of sweet snacks that will indulge your sweet tooth without packing in too many calories. The chocolate chip cookies are a classic and especially delicious when warmed up in the microwave for a few seconds. If you’re more of a brownie person, our decadent double chocolate bar tastes just like a nutty fudge brownie. In keeping with the chocolate theme, our triple chocolate cookie is soft and chewy, like a slice of cake. No matter your tastes, we’ve got a snack or dessert that will satisfy your cravings. Go out there and have fun with the kids! Instead of staying back and talking to the adults, run around, be a goofball and have fun. There aren’t many times a year where it’s socially acceptable to act like a kid, and the children will get an absolute blast out of it. Plus, you’ll be able to get your daily exercise in. All around, a win-win for everyone involved. For most families, especially in the south, Easter is an excuse to make a delicious home cooked meal. This means honey ham, mashed potatoes, green-bean casserole, etc. You get the picture. It’s not the healthiest, especially if you’re looking to keep to your New Year’s goal of being healthy and fit. So this year, instead of indulging in the feast in front of you, practice self-control and make yourself a salad! You don’t have to feel guilty about piling on the veggies; load your salad up with colorful vegetables and feel great about what you’re eating. And if any of the kids start giving you a hard time, tell them you’re eating a “rabbit meal”, true to Easter Spirit! These are just a few ways you can be health conscience this Easter. We hope these help you, and if you have any other ways you’re planning to be healthier this Easter, please leave a comment below. 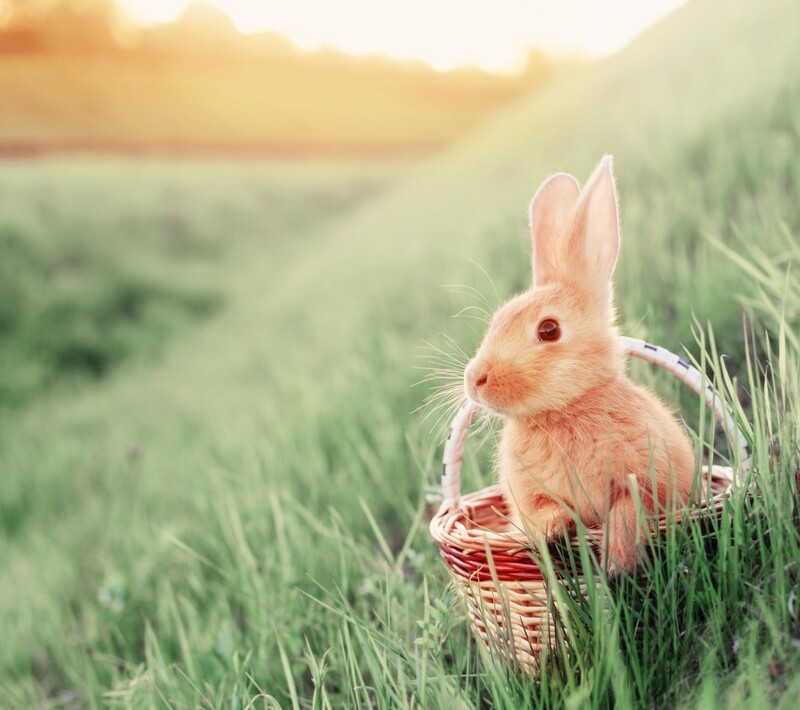 We love hearing your stories, and we hope you have a Happy Easter!